ABC of Indiana/Kentucky is now an approved BICSI Authorized Training Facility! http://www.abcindianakentucky.org/wp-content/uploads/2016/06/bicsi.jpg 254 800 Admin_ABC http://www.abcindianakentucky.org/wp-content/uploads/2016/02/New-ABC-indiana-logo-with-glow-300x96.png Admin_ABC2016-06-17 02:54:142016-06-17 02:55:36ABC of Indiana/Kentucky is now an approved BICSI Authorized Training Facility! We are now accepting applications for the 2016 Merit Shop Construction Awards competition! I encourage you all to consider participating. It is our goal to recognize and publicize the outstanding work of our members. Such recognition builds a greater awareness within our industry of the quality of projects performed and completed by Merit Shop companies. ABC Indiana/Kentucky was excited to be invited to participate in Governor Pence’s “Start Your Engines” tour of Indiana. 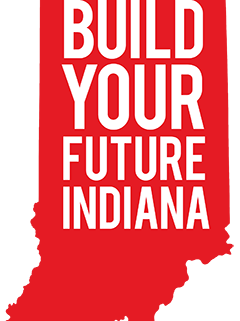 With construction companies expected to hire more than 61,000 workers in Indiana through 2017, a new partnership between Build Your Future (BYF) and the Indiana Construction Roundtable Foundation is committed to meeting the demand for qualified craft professionals while helping individuals achieve their career goals. Build Your Future Indiana is a unique collaboration of employers, state agencies and industry associations that encourages residents to learn about construction careers and training opportunities now emerging in the state and to qualify for and obtain careers in these high-demand occupations. The 3rd Annual Job Fair for the Construction Prep Academy was a huge success! The contractors were eager to meet young people interested in pursuing construction as a career. Students took this networking opportunity seriously and were well prepared for their interviews. All sixteen of the Indianapolis-based ABC students were given three interviews by the fifteen companies represented. In just over one week, there have been eleven job offers and numerous second interviews scheduled. Three students have already accepted positions and will be starting their career in construction as soon as they graduate!